Perth contains the essential ingredients for a great holiday; some of the country's best beaches, plenty of nightlife, bustling markets, inner city parks, outdoor dining and amazing marine life. 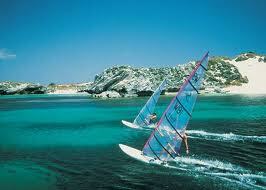 Western Australia's capital city enjoys a beautiful waterside location on the meandering Swan River. 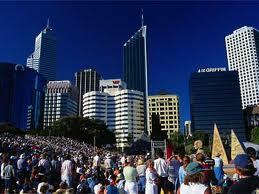 Perth is the largest city in Western Australia and boasts a beautiful location on the banks of the Swan River. A bustling metropolis, the city of Perth offers something to suit all visitors whether you are there on business, holiday or backpacking around Australia. As with all Australian cities, there are no direct flights to Perth from the UK as a transit or change of aircraft will be necessary en route. Perth is served by some of the world's most popular airlines such as Qantas, Singapore Airlines and Cathay Pacific. Much of Perth’s history is steeped in Aboriginal folklore; the Swan River is said to have been created by a mythical snake as it made its way inland forming the bends and then the winter rains filled the channels to make the river what it is today. Perth city centre is full of shopping centres as well as smaller boutiques, great restaurants and plenty of activities which mainly revolve around the picturesque river. Take the opportunity to cruise along the river during the day and in the evenings when some river cruises offer dinner and entertainment. Kings Park and the Botanic Garden are wonderful places to have a picnic while you absorb the fabulous panoramic views of the river and the city. We advise to venture out of the city too; visit the many beaches of the Sunset Coast as well as Sunset Hinterland where you can get up close and personal with the Western Australian bush, Wave Rock, wine tasting in the Margaret River wine region and of course the famous Fremantle dolphins. Many of Perth’s restaurants take advantage of the scenic backdrop and often have beautiful river and city views such as Halo Café, Bluewater Grill and the incredible revolving C Restaurant at the top of St Martin’s Tower. For fish lovers head to Fremantle where the fish is straight out of the ocean and there is an abundance of restaurants with fantastic seafood menus, our favourite being the Fishing Boat Harbour. In and around the city centre there are a variety of different cuisines to choose from including Chinese, Japanese, Thai, Indian, Greek as well as local and continental specialities. After dinner head to the many bars and pubs, Northbridge is a favourite hangout for the young and trendy and there are two venues which play live music Brass Monkey and The Bird on William Street. Give our flight search box a try as here at Directflights, we will find you the very best deals on cheap flights to Perth, Australia by comparing the air fares of more than 500 airlines and travel companies. For the cheapest flights, we recommend you book in advance where possible and travel outside of the traditionally busy times of year such as Christmas and the summer holidays. As well as giving you a great choice of low cost flights, we can also find the latest offers for lastminute flights if you need to travel imminently. Perth receives moderate though highly seasonal rainfall, making it the fourth wettest Australian capital city after Darwin, Sydney and Brisbane. Summers are generally hot and dry, lasting from December to late March, with February generally being the hottest month of the year, while winters are relatively cool and wet, making Perth a classic example of a Mediterranean climate. Summer is not completely devoid of rain with sporadic rainfall in the form of short-lived thunderstorms, weak cold fronts and on very rare occasions decaying tropical cyclones from Western Australia's north-west which can bring significant falls.